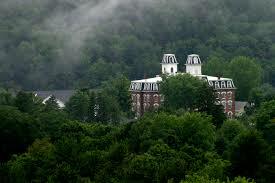 I’m heading to Vermont College of Fine Arts on Wednesday where I’ll be writing until July 18. I CANNOT wait —- and I sure hope traveling halfway across the country to focus on writing works it’s magic. 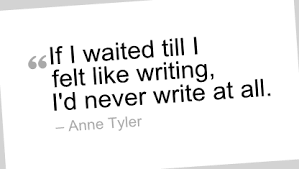 For me, it’s been a struggle to get back to writing ever since January when some committee work in the English Graduate Program sort of stole my writing time. I thought I’d ease back into writing by revising a novel I completed last summer. But the editor inside my head has consistently told me it’s not good enough and so that’s been slow going. But then I also started a new novel and I’m excited about the idea. I have the plot in my head. I even have a significant character and her best friend. It’s a kidnapping story – I know that. But I absolutely have been struggling over figuring out the voice. The character I know best is a quiet innocent with a sensitive poet’s voice. Her best friend is more of a rock star sort of poet. I’m thinking that the best friend should tell the story. But then I hear the sensitive quiet voice too. Two points of view? Or does the rock start poet tell the story because the sensitive poet is unable to tell it? But it’s been such a struggle to put words on paper. That is, it was tough until a friend invited me to sit on her porch and write together for a few hours this past week. I do hope that’s the breakthrough that helps me really use every available moment I have to write at Vermont College. I’ll let you know how it goes. Meanwhile, I’d love to hear how some of you have handled getting back to writing.